Pupil’s Health – Ysgol Penmorfa, Prestatyn Buy School Uniform Online! It is vital for a child’s well being that we know if he/she has any health problems. With certain illnesses the Health Authority recommend that children are kept from school for a minimum duration. On occasions a child may feel ill and need to be taken home. If both parents are working we must have a local telephone number of a relation, friend or neighbour whom we can contact if the need arises. We would ask parents not to send medicines to school without prior arrangement with the Headteacher. Children who need antibiotics could be given dosages at home just before and after school. Children who possess an inhaler should have it clearly labelled. Most staff are First Aid trained and there are two designated First Aiders at Ysgol Penmorfa. Teaching Staff, Support Staff and Midday Supervisors are expected to attend formal First Aid Training when it is provided at school. The Health Authority has issued guidelines to schools on how to deal with any issues regarding head lice and it is not our policy to exclude any pupil from class or school. There have been a number of questions raised from understandably concerned parents whose children continually suffer with head lice due to close contact from another class member. 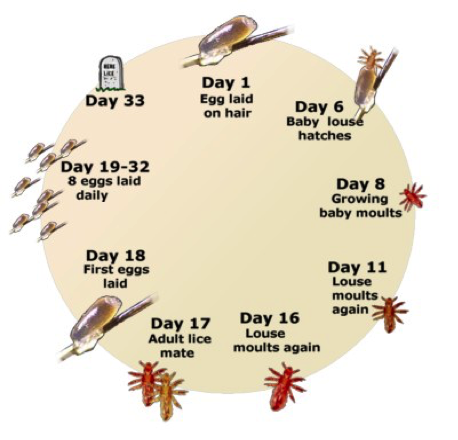 Please be assured that each time a member of staff sees a live louse, the parent is confidentially informed and provided with information and help about treatment and prevention. We are not able to send pupils home if we see they have lice. Further information and help can be found at Prestatyn Health Clinic on Kings Avenue or you could contact our school nurse, who is based at the clinic, Mrs Jo Ormerod on 01745 854546. According to our Managing Medicines Policy all parents/guardians are asked to attend school to administer medicine to their children if possible. If this is not possible and it is necessary for prescribed medication to be given during the school day then all medication should carry the pharmacy label clearly showing the child’s name and dosage to be given along with a written request to the Head teacher. In some extreme circumstances it is possible for inhalers to be kept in the classroom provided that a formal request has been made by the parent/guardian. May we remind everyone that it is an offence to smoke on the school premises. This includes the car park, the field and the school yard. Please refrain from smoking in the school grounds when dropping off or collecting your children and during events and tournaments.